We have yet to finish with 1854, that remarkable year when everything happened at once and flowed together into everything else into a confused mix where the South and the Democracy had their great triumph over Kansas and then found themselves nearly ruined by it. Doubling down, whether with new efforts to buy Cuba or with wild, irresponsible threats from the Ostend Manifesto only further got the increasingly antislavery North’s back up. 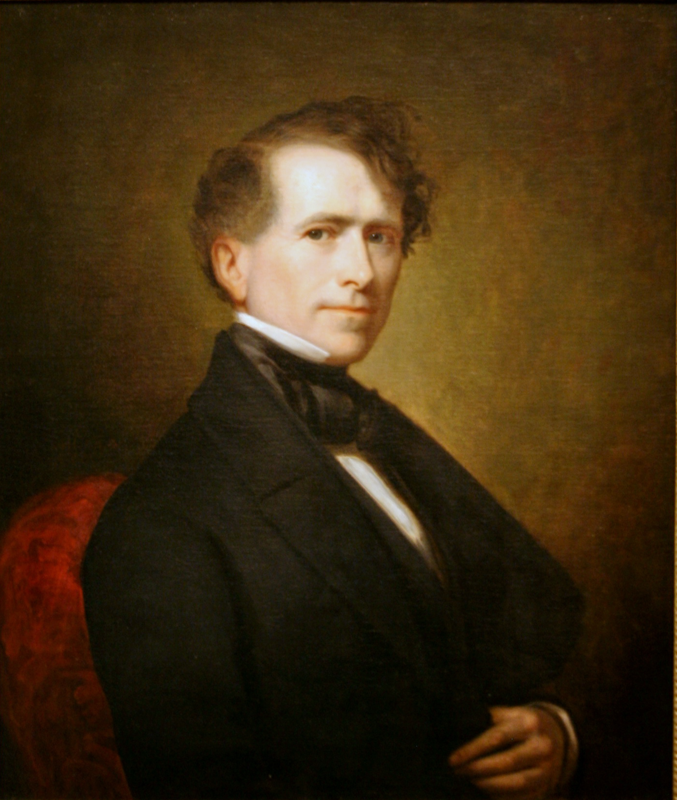 Though meaning just the opposite, Franklin Pierce and Stephen Douglas sure knew how to wreck a party. The Democrats paid at the ballot box, losing almost half the seats they’d held in the 33rd Congress. Only seven northern Democrats who voted for the Kansas-Nebraska Act survived the voters’ wrath. Those who voted against it paid a price too, but where pro-Nebraska northern Democrats found their numbers reduced to a mere seven, losing three quarters of their caucus, the anti-Nebraska northern Democracy came out with only a thirty percent, fifteen seat haircut. It could clearly have gone much worse for the latter. This came on the very heels of the Democracy’s best showing yet, a remarkable reversal of fortune. Douglas got his storm. Voters in 1854, therefore, faced a stunning array of parties and factions. Along with the old familiar Democrats, Whigs, and Free Soilers, there were also Republicans, People’s party men, Anti-Nebraskaites, Fusionists, Know-Nothings, Know-Somethings (antislavery nativists), Maine Lawites, Temperance men, Rum Democrats, Silver Gray Whigs, Hindoos, Hard Shell Democrats, Soft Shells, Half Shells, Adopted Citizens, and assorted others. The Maine Law refers to that state’s 1851 prohibition law, which the powerful temperance movement wanted to see enacted in other states. The Anti-Nebraskaites took a somewhat stronger antislavery position than the Republicans. Hard Shell and Soft Shell Democrats disagreed over whether to reconcile the Barnburner Democrats who left the party for the Free Soil party back in 1854 but had since come back. Soft Shell Democrats and Silver Gray Whigs both took less of an anti-immigrant tone and worried about the growing power of the Know-Nothings. about 121 members who had been chosen with Know-Nothing support and about 115 who had been elected as Anti-Nebraska men, with antislavery support. About 23 were antislavery but not nativist; about 29 were nativist but not antislavery (most of these were Southerners); but some 92 were both antislavery and associated with nativism. This situation meant that most of the nativists were antislavery and most of the antislavery members were in some degree nativists. Who had the majority? The antislavery men or the nativists? Both did, but they did not flow together seamlessly. Some nativists, like Massachusetts’ Henry Wilson, cared quite a bit more about opposing slavery than opposing immigration and Catholicism. Others went the other way. Given the natural affinities between the movements, one would expect them to stick together. Over time, one faction or the other would gain ascendance and the party would become their party, if with the other still a significant minority. But that question did not resolve itself directly. 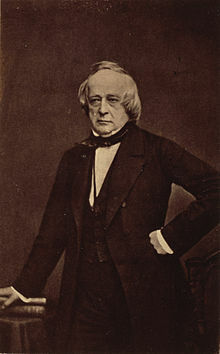 The 33rd Congress remained in session until the start of March, 1855. The 34th would not take its seats until December. In the meantime, Kansas had its future in the air. 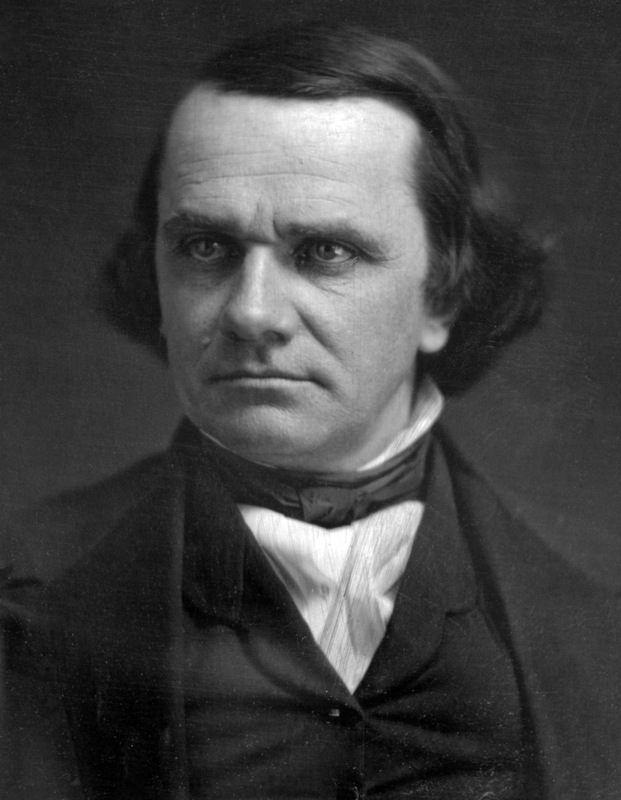 Would it fall to slavery, as Northerners feared and Southerners hoped, or would Stephen Douglas’ popular sovereignty bring about his expected outcome through the hard laws of geography and climate? All the antics at Greytown made perfect sense to Joseph Fabens, who staged the town’s destruction for his Accessory Transit Company employers and used his other employer, the United States government, to get it done. They probably all made just as much sense to Solon Borland, the diplomat who encouraged Captain Smith of the Transit Company to murder a pilot named Antonio and then intervened to prevent Smith’s arrest. That brought a mob down on him and got a bottle thrown at him. Borland declared himself beset by pirates and hurried off to Washington to secure his revenge. That revenge came in the person of George N. Hollins, captain of the USS Cyane, dispatched with orders to get satisfaction from Greytown for Borland and on behalf of the Transit Company. Hollins’ orders also instructed him to consult with Fabens about the current situation and a proper indemnity when he arrived. 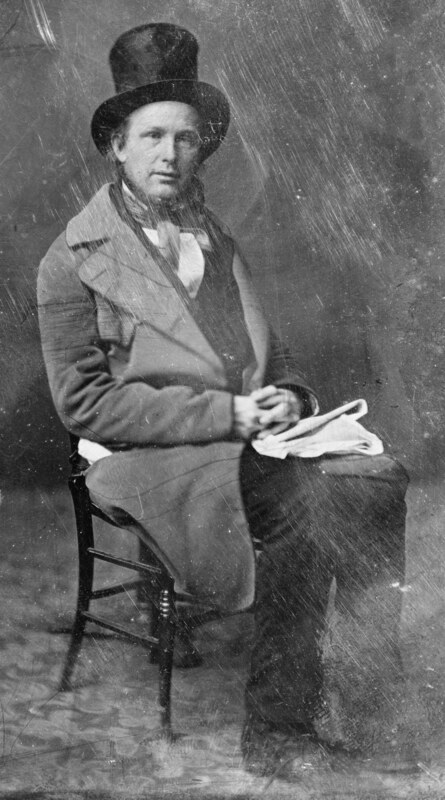 Fabens, who had tried to burn the town to the ground the night of Borland’s rendezvous with destiny in the form of a broken bottle, took his chance and encouraged Hollins to demand far more than any of the disputes warranted. When he got no satisfaction on those terms, Hollins bombarded and then burned the town. However, Hollins’ orders included the hope that he could manage without any violence or destruction of property. Those same orders left open the option to escalate and put Hollins partially in the hands of Fabens, but no one in his chain of command expected Hollins to wipe the town off the map. Greeley tries to pin everything on the Pierce administration, but the orders he printed don’t support the notion that they sent Hollins to Greytown intending him to destroy it. The Democracy’s Washington Union took issue with Greeley’s editorial line. 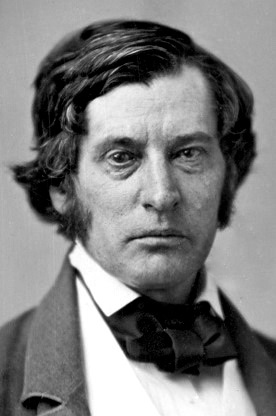 Greeley, who had taken swipes at the paper often enough, set aside his partisanship enough to reprint the Union’s editorial on the affair. The enemies of the Administraion, led on principally by The New-York Herald, Tribune, Times, and Express, have labored assiduously and malignantly to create feelings of prejudice against the President and certain members of the Cabinet on this subject. The public had too many evidence of the industry with which the caterers for these papers distort and misrepresent facts, and not infrequently invent or fabricate calumnies against the Administration, to be now readily deceived. No American could stupidly swallow everything Greeley and his friends said about the Democracy. Everyone knew him for a partisan hack. But you could trust the Union, which turned on a dime earlier that year from denouncing Stephen Douglas’ plan to repeal the Missouri Compromise to endorsing it. This bears a momentary digression: in the nineteenth century, and well into the twentieth, most major cities had multiple newspapers. Most often each had a clear alignment with one party or the other and made no bones about it. The distinction between editorial comment and unbiased reporting did not run so clear as one expects, or hopes to expect, today. Greeley, or the Union, could print what they liked and if readers didn’t like it, they could pick up a different paper. The notion of objective, unbiased reporting has come to us rather recently and incompletely. Back to the Washington Union. Moving on from its invective against Greeley and the New York papers, the editors came to the matter at hand. Some of them [the New York papers] have undertaken, in the most positive terms, to state the instructions to Captain Hollins, and to exert that the course pursued by him in the destruction of Greytown was distinctly indicated in his instructions. Upon turning to the letter of instruction, the recklessness of these assertions will be apparent. That letter was drawn by Secretary Dobbin, and is prepared with singular prudence and caution. We do not propose to indulge any comments, either of commendation or of censure, as to the conduct of Captain Hollins. Certainly we should be inexcuable for intimating anything like censure of his conduct in the absence of any authentic statement of the immediate facts on which he acted. In their eagerness to injure the Adminsitration, the new York papers are guilty of gross injustice to Capt. Hollins. His high character for prudence, intelligence, coolness, and courage pointed out the proper officer to manage this delicate affair; and until he arrives and makes his report of the case, we shall regard it as wholly inexcusable to prejudge and condemn his conduct. Unquestionably, the facts set forth in the papers which we publish make out a series of outrages which demanded prompt and exemplary punishment. The Union demanded having it every way favorable to the Democracy: The administration had nothing to do with Hollins’ actions on the ground. We don’t know the full story, so we can neither condemn nor commend. But anyway, even if Hollins went off-script, Greytown really deserved whatever it got. Heads we win; tails you lose. The USS Cyane came down, shelled, and burned the free port of Greytown on Nicaragua’s Mosquito Coast or the British Mosquito Coast protectorate. Her captain, George N. Hollins, came with orders to get satisfaction in two related disputes between the Accessory Transit Company and the town government and on the matter of American Minister Solon Borland’s face, injured by a thrown bottle when he stopped town authorities from arresting a Transit Company captain who murdered a black pilot. That murder, it appears, took place because Borland egged the captain on. Horace Greeley printed two letters with substantially the same account of that. The second, under the heading “The Murder Defended by Messrs. Borland and Marcy,” came from Captain William H. Rogers of the Martha Clark. Rogers served on the coroner’s jury that ruled Captain Smith’s murder of Antonio worthy of arrest and adds to the story that Joseph Fabens, the American Commercial Agent in Greytown, attended the hearing and gave his agreement with the charges. Rogers agrees that Borland talked Smith into shooting Antonio, writing that he had it from people present at the time, and shares the same story about Borland telling off the police and the mob approaching Fabens’ house under the belief that Smith hid inside. Then he adds more news. The Mayor Mr. Sigand, then came up, and said that the acts of the crowd were unauthorized by the authorities and apologized to Mr. Borland. I then went on board my bessel, and about ten minutes afterward dMr. Fabens and three others came aboard and asked me if I had any arms and ammunition on board, that Mr. Borland had his head cut open, and that he, Fabens, was going on board the steamships to get the Californians to burn the town, and tried to induce my mate to go with him. It looks very much like Fabens decided he had the perfect chance to serve his unofficial employers at the Transit Company and resolve their disputes with the town by eliminating the town, even before he had the United States Navy to help. The Americans answered Fabens’ plea that they would of course oblige, if things really went as he said. They sent out men to discover as much. These persons, with Fabens and others, numbering eleven in all, were not permitted to land, the people having got wind of the intention to burn the town keeping guard along the beach. They however told Fabens that he might land, but not the others, as they feared danger for the town. All of this was during the night, and Borland remained ashore at the Commercial Agency, and there was no guard around the house and no restraint on Borland. The only guard was along the beach, to prevent parties landing, and burning the town as threatened by Fabens. The next morning, Borland went on board the steamship at about 6 o’clock, and there were no marks on his head, as represented by Fabens to the passengers. According to Rogers, Borland suffered only injury to his pride. Everybody else I’ve read takes the claim of a real cut or something seriously. But then I’ve read accounts that insist Borland got arrested too and nothing like that seems to have happened. At most, Joseph Fabens seems to have had his movements obstructed on the reasonable grounds that he planned arson and had gathered men to help. I wish I could get a copy of that letter, but the only Intelligencer scans I found are paywalled. Sorry. The company, in short, had deliberately picked a quarrel, and Fabens had then gulled the State Department and Navy into destroying the place for the benefit of the notorious sharpers who wished to build their own well-controlled port on its ruins. 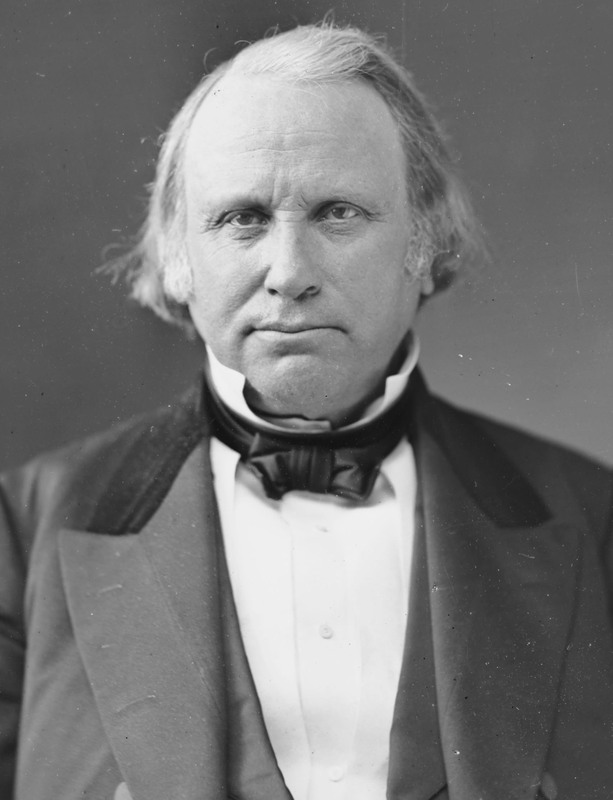 Horace Greeley published Samuel Wood’s account of Greytown to counter the claims from Solon Borland and the Accessory Transit Company that their actions troubled only a den of scum and villainy better wiped out than left intact. Wood lived in the town for a few years and heard from eyewitnesses about the murder of a pilot named Antonio by a Captain Smith of the Transit Company. Greeley could do one better, though. Via the Boston Atlas, he had something approaching the account of an actual eyewitness. The Captaint urned the steamboat, which, by this time, was almost half a mile below the scene of the dispute, and ran back against the current of the river to where the bungo laid, and having meanwhile been below and loaded his rifle, deliberately dropped on one knee and shot the patron of the bungo dead. He went below and expressed regret at the deed, said he wouldn’t have done it if “Borland” had not told him to do it. a warrant was issued for the arrest of Capt. 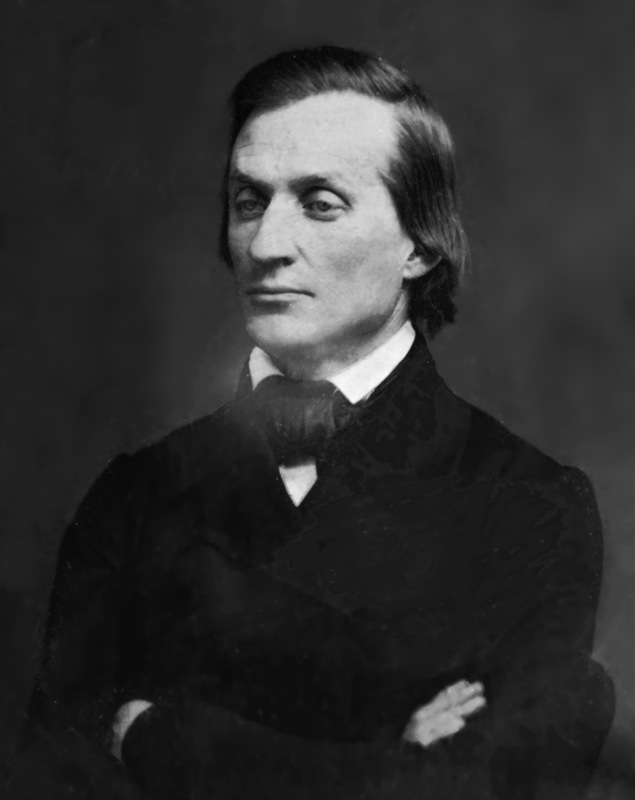 Smith, who at first seemed willing to submit, when Borland interfered, and, rifle in hand, stood on the guards of the boat, telling the Marshal if he stepped on board he would shoot him; that Smith should not be arrested, that he (Borland) was an American Minister, and called upon the passengers to aid him. The police went away empty-handed and Borland went ashore to see the Commercial Agent, Joseph Fabens. Somehow a rumor got going that passengers would come ashore to burn the town and so Greytown’s mayor forbade landings that night. The boat sent to pick Borland up ran afoul of the order and so the minister considered himself arrested. A band of angry Nicaraguans, hearing that they could find Smith with Borland at Fabens’ house, went down to arrest him themselves. And at last we have something that resembles Borland’s account of being accosted by a mob. Borland came downstairs and exasperated them still more by his harangue in the choicest kind of dialect, such as Webster does not furnish-Off, scum of h-ll, &c., &c.
The Mayor appeared on the ground and denounced the crowd, but could not disperse them, when someone threw a bottle which some accounts say hit him (Borland) on the nose; and the Mayor, on the spot, offered a reward of fifty dollars for the discovery of the vagabond. The next morning the City Attorney addressed a note to the Commercial Agent, disavowing the rabble and disclaiming any intention of insulting the Minister, and the steamer sailed, bringing the distinguished blackguard to New York. Does this sound like an utterly anarchic place full of lawless pirates? Borland would have his audience believe as much, but what more would an American mayor do in a similar situation? Greytown tried to make things right with Borland, even if Borland did much to cause the murder that brought a bottle to his face. When a mob showed up to take him, the mayor denounced it. The town government made it very clear that they had nothing to do with the mob and did not approve of its actions. But that and a dodgy pair of real estate disputes where the Transit Company appears in the wrong warranted leveling the place? 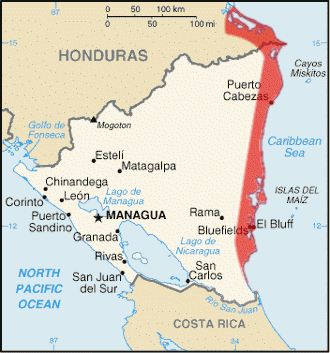 In July of 1854, the USS Cyane bombarded and then burned to ground the free port of Greytown at the eastern terminus of the route across the Nicaraguan isthmus from the Caribbean to the Pacific. It did this in retaliation for injuries suffered by the Accessory Transit Company, which ran a steamer service down the San Juan del Norte river along the isthmus. The Company’s injures involved a real estate dispute with Greytown’s authorities over their use of some land and the seizure of a boarding house. However, the Company rented the land disputed and had for some time refused to pay its rent. Furthermore the Company only leased its dormitory and leased it from a man who had no legal right to the land on which it sat. Both of these disputes predate the dispatching of the Cyane but neither in itself nor both together prompted the orders that brought it to Greytown harbor. That honor goes to Solon Borland, US minister to Central America. On passing through Greytown he took it on himself to prevent, unsuccessfully, the arrest of an Accessory Transit Company captain who murdered a black pilot. 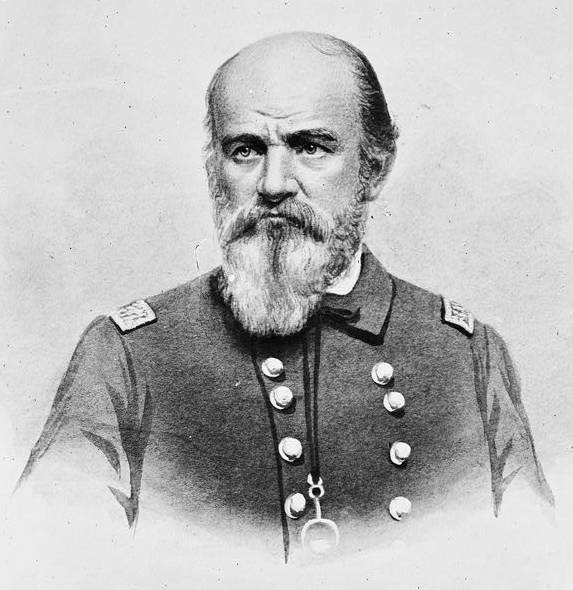 Borland declared in his official explanation to his superiors in Washington that he cared not at all whether the man had killed anybody or not. He saw an American citizen accosted by a group he considered no better than pirates and deserving of nothing more than a few good bullets. they briefly arrested him, but let him go later. Borland took it on himself to lecture a group of Greytowners about their bad behavior and one of them threw a broken bottle, hitting him on the head. this little community has been struggling for very life with the ingratitude, avarice, and domineering proprietors of the Nicaragua Transit Company. Aside from the disputed lands, Wood had in mind the murder that finally brought the Cyane to Greytown. I was sailing downt he river in the boat which followed that commanded by Captain Smith. When I arrived, the same night, I learned all the particulars about the transaction. There was no material diversity of statement. Antonio, the owner of the bungo, had his [illegible in my scan -FP], getting supper for his men-some ten or twelve men and some women who were with him. Antonio was a well known pilot on the river, and had formerly been a pilot for Captain Smith. A difficulty occurred between them at that time, and there was still bad feeling existing between them. It was supposed that for this reason Smith tried to run his steamer into the barge, for the purpose of destroying her. When Antonio saw that purpose, he threatened to shoot the captain if he ran into him. The vessel struck, but did not sink the bungo. To the passengers, who rushed to know what he was about, he said that his rudder would not work, and that the collision was an accident. Antonio was of Spanish blood; a perfectly peaceful and quiet man, and universally respected. When his wounded body came to be seen at the station-house, the people were very much infuriated, for they looked upon it as a wanton and deliberate murder. It certainly sounds that way. Smith had previous dispute with Antonio and apparently tried to destroy his livelihood, and possibly drown him, by sinking his boat. Nice guy for Borland to step up to defend. Leaving aside the wider political implications and the status of Greytown’s authorities, this looks like a very conventional murder. Antonio may have threatened Smith, but only after Smith tried to sink him over with his steamer. One can’t fault him for aggressive language then. Another correspondent had still a more intimate knowledge of the conflict, but as this already runs a bit long his account will have to wait for Monday. The Accessory Transit Company had, according to Greytown resident Samuel Wood, taken pains to put the Greytown government into its back pocket when the British pulled out and left the free port to its own devices back in 1852. The Company availed itself of the town’s courts. Yet the Company declined to pay the rent it owed on Punta Arenas, a bit of land a ways outside of town which it leased as a coaling depot. Now the Company complained that Greytown had no jurisdiction over it at all, just like Solon Borland argued. Clearly Greytown had a legitimate government when it suited the Company and at no other time. did not belong to the company, but to Captain McCerreo, a boardinghouse keeper, whose sole connection with the company arose from his providing accommodations for the workmen. It was removed, in a legal and orderly manner, by the Mayor, from the grounds belonging to the city, on which it had been illegally erected, and of which the company had no lease, after summons had been repeatedly served, without avail, on the party in possession, requiring him to appear before the proper tribunal and show cause why it should not be removed. The only response to the summons was the setting up of a spurious charter, alleged by the company to have been granted to them by the State of Costa Rica, than which a more ridiculous and desperate claim was never perfected. That came to more than the shack that Greeley said got torn down, but still very far short of the exorbitant sum that the Company demanded in damages. Furthermore, it sounds like the town acted reasonably and with considerable restraint in the manner. Borland, Fabens, and the Company called this an assault on and seizure of American property. An American might have owned or controlled it illegally, one supposes, but that comes far short of the scenario the words imply. In effect, the Company wanted protection for its possession of stolen goods and, as it did elsewhere when Greytown’s rules did not suit it, the ability to act with impunity. That sounds wonderful for the company, but much less appealing to everybody else around. Having been for four years a resident trader in Greytown, I am able to testify from my own knowledge that the Transit Company can put forth but slight pretensions to the virtues of generosity in their transactions with the people of that seaport. Readers hoping for a Company hagiography shall have to look elsewhere. Wood began at the beginning, telling how the British, on behalf of the King of the Mosquito Coast and themselves and in right of their protectorate, cut Greytown loose in 1852. The residents set up their own government with “an excellent and liberal constitution they had unanimously adopted” and elected offers to fill its posts. At the very first election the agent of the Transit Company, with the entire force of workmen in his employ, attended the polls, coming over in boats from their station at Punta Arenas for the purpose, and by their efforts a city council was chosen consisting of five American citizens, with the understanding that they would be favorable to the objects and rights of the company. Three of the members elect were from New York, one from new Orleans, and one from the State of Arkansas. Having brought in their men to vote for a friendly government, one would expect the Transit Company to call it good. They bought their election fair and square, right? Samuel Wood certainly thought so. But what did the Company do? Why, their very first act was an act of rebellion. The lands which they now occupy, and which, under the former Government, were held at an annual rent of sixpence sterling by them as tenants at will, to be delivered up at its order, and to be used solely as a coal depot, were included, by the constitution ratified by themselves, among the possessions of the City Government. Yet they have never paid the first farthing to the rightful owners, and have utterly refused to recognize their property in the lands. They founded the government. They ensured the election of officers friendly to them. But the Company still refused to pay rents that it had owed to the British back in the day and now owed to Greytown itself. Nice guys. Indeed, so open and daring is this opposition, that during the various suits initiated by their creditors in the City Courts for debts due from the Company, the agent, in reply to the question why he resisted the jurisdiction of the civil authorities, declared that he was so instructed by the Directors of the Company. Nevertheless, for the first six months, at least, after the establishment of the City Government, this same Company had repeatedly acknowledged its jurisdiction by suing and defending suits in its courts of law. Apparently Greytown had jurisdiction when its courts might deliver verdicts the Company approved of, but not otherwise. Maybe we’d all like that kind of situation for ourselves in our less worthy moments, but it’s no way to run a government. And Solon Borland and Joseph Fabens stuck their necks out for this business? At least Fabens probably got paid for it. According to Solon Borland, he had every right to interfere in an arrest for murder on the grounds that the accused had American citizenship and, if you got right down to it, no legal authority existed that had any right to execute any legal process at all in the area except for the governments of Nicaragua or Costa Rica. Both of those states had no practical power over the area, so what else could he do? Any man trying to arrest another in or about Greytown had only the brute force authority of a vigilante, a gangster, or a pirate. It is true that the Mayor (Segaud) came to me and disavowed the acts of those who arrested and assaulted me. But it is equally true that he presided at the meeting in the Station-House (Iron Hall) in which it was proposed (by Martin, the ex-Mayor) and resolved to arrest me; that the authorities took no steps to prevent it, and that the armed men who arrested me were cdomposed mainly of the police guard of the town, and were armed with muskets of the corporation. Their leader declared that he came by order of the Mayor to arrest me. Borland also took the time to point out a growing number of Greytown’s citizens had unacceptably dark skin. They hailed from Jamaica. By customary international law of the time, Borland had a point about pirates. You very much could do whatever you liked to them. Any nation could exercise jurisdiction over a pirate, as piracy made one an enemy of all humanity. However, these people Borland insists all amount to a bunch of pirates seem so disinterested in their trade that a thriving steamer route went right through Greytown. Perhaps Greytown drew a singularly lax breed of pirate who one could not induce to prey upon lucrative shipping to save his life? Yet these same slothful pirates so frightened Borland and the Accessory Transit Company that the former recruited and paid, at considerable American expense, for a collection of guards to ensure the safety of the company’s property after he left. This Borland did not out of the kindness of his heart, but because the American commercial agent and the Company’s agent agreed that if he did not, they might face reprisals when Borland left. This sounds very much like the same duality with which slaveholders viewed their human property. Slaves served happily and well. One could absolutely trust them not just with property but with the lives of one’s family. Except every slave hid behind a placid mask that could erupt in violence at any moment. They would all malinger, break tools, run, or rebel if given the slightest bit of slack. Instead one must extract obedience through violence and threat of violence, so overawing and terrifying that the slave would never dare rise up. Borland came from the South. He knew this down to his bones. It seems he saw dark skin and, like most men of his race, class, and section would have in the same situation, applied the lessons of American slaveholding to the management of free Jamaicans. After all, they couldn’t reasonably have gotten upset about a man killing another man. Who gets worked up over that kind of thing?